Tao Chinese Cuisine welcomes the return of Shanghai’s hairy crab season with a luscious menu featuring both classic and creative preparations by executive Chinese chef Wong Lian You for a truly authentic gastronomic experience. 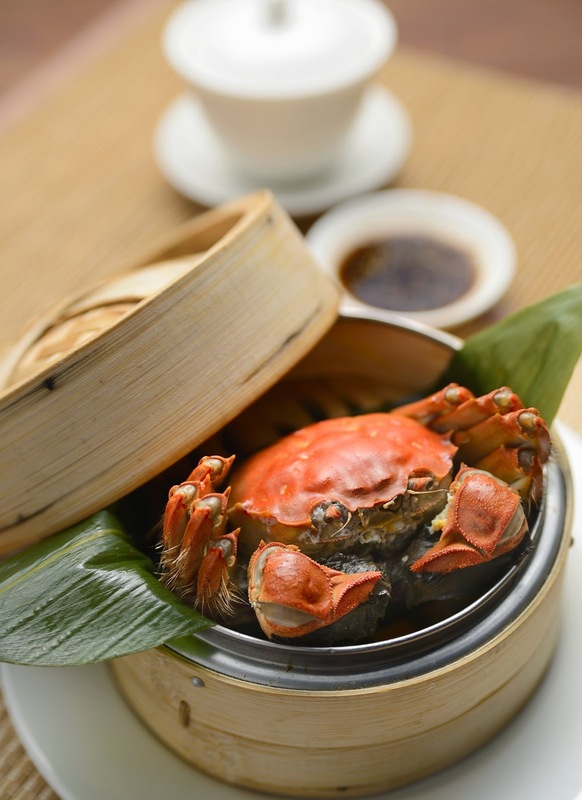 Master of Chinese cuisine, chef Wong celebrates this seasonal produce with a treasured a la carte menu featuring salt baked hairy crab served with chef ginger vinegar; steamed bamboo pith crab paste rolled with pi pa beancurd; and steamed hairy crab roe dumpling. The hairy crab set menu consist of dim sum appetiser of steamed hairy crab roe dumplings; choice of steamed hairy crab or baked hairy crab with salt served with chef ginger vinegar; steamed bamboo pith crab paste rolled with pi pa beancurd; seafood fried rice with crab roe and meat paste; ending with slow cooked pear served with warm ginger tea and glutinous ball. Commonly believed to have a yin or ‘cooling’ effect on the body, the warm ginger tea is a ‘heating’ element which balances the yin and yang of the body system. An opportunity not to be missed, the coveted hairy crab promotion at Tao Chinese Cuisine is available from 15 October – 20 November priced at RM22++ per dish onwards for a la carte or RM268++ per person for set menu. For reservation or more information, call Tao Chinese Cuisine at03-2161 1111 or email the team at [email protected] Tao Chinese Cuisine is open daily from noon to 2.30 pm for lunch and 6.30 pm to 10.30 pm for dinner. Visit us at www.intercontinental-kl.com.my. Tao is designed to bring guests authentic and memorable dining experiences through the revival of traditional cooking techniques, tailored by the skills of Executive Chef Wong, and exceptional menu items. “Tao”, which means peach in Chinese, is decorated graciously with bloom of the pale pink peach flowers and features hundreds of ornate Chinese teapots. The restaurant houses six elegant private rooms all named after the dynasties in China – Han, Song, Tang, Yuan, Ming, and Qin. WHY CHOOSE WHEN YOU CAN HAVE ALL THE DIM SUM AT AWARD-WINNING TAO CHINESE CUISINE?